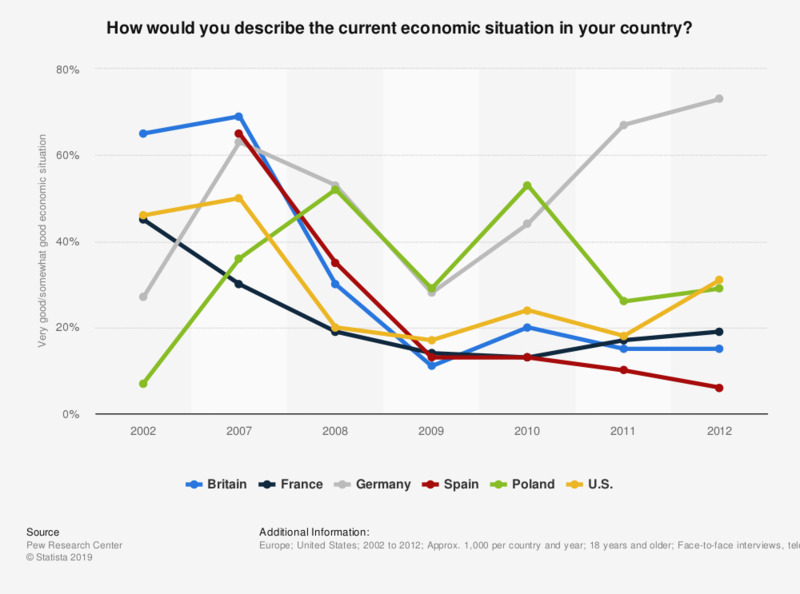 This statistic shows public evaluation of the economic situation in respondents respective countries from 2002 to 2012. In 2012, 15 percent of respondents in Britian felt that the economic conditions were either somewhat good or very good as compared to 69 percent in 2007. Possible answers to the survey question included very good, somewhat good, somewhat bad, very bad or don't know/refused to answer. Are you satisfied with the way things are going in your country?